The Baroque garden at Dagstuhl Castle gives the impression of a painting, as if dabbed onto the landscape with fine brushstrokes. No wonder - It can be traced back to the paintings by Countess Octavie de Lasalle, who captured the concept of the garden in several motifs. 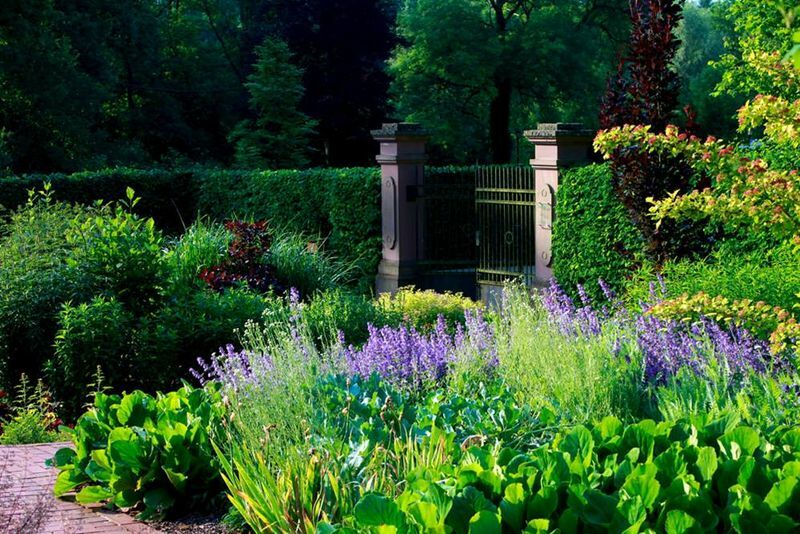 Among the many attractions are the plant obelisks covered with roses and clematis in the middle of the beds of perennials arranged symmetrically on two levels and surrounded by hedges.